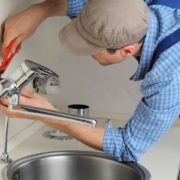 What Is The Difference Between Plumbing Drain Cleaning and Plumbing Repair Service? For most homeowners, learning comes through trial and error – there is no way one can prepare for every scenario or be educated on all components of home maintenance, and thankfully, they don’t have to. We trust and hire workers all the time to fill specific needs in our personal and work lives depending on their expertise, and our lack, in any given area. While how-to videos can be found with a simple search, we don’t always have the time, energy or skill to do everything for ourselves, and that’s when we know we need to call in the professionals. When it comes to plumbing, there are a few specialties that knowing about will help you hire better, so let’s cover that today. Plumbers require a license. They must pull permits, have advanced training, and may choose to specialize in a variety of areas such as plumbing repair service, remodeling work, new build plumbing structures, gas lines and more. Plumbers can be commission based or earn hourly rates, and in the Denver metro area, the average, according to Indeed.com is $23.29/hr. for a Journeyman (the most common plumber, sandwiched between apprentice and master plumber). Drain cleaning technicians are not required to have a license in Denver. They aren’t able to pull permits, but they do have advanced training on drain cleaning techniques and tools. They don’t do repair work, remodeling work, gas lines or any other responsibilities of a plumber unless they are training to be one as an apprentice (or have chosen to specialize in sewers and drains as a plumber). Their pay scale can also be commissioned or hourly, but is typically at a lower rate than plumbers. This is important to note as a homeowner because if you experience a clogged drain or sewer line, it is more affordable and more efficient to hire a drain cleaning technician over a plumber (in our opinion). Plumbers, drain cleaning technicians, and sewer scope professionals can perform a sewer scope or video sewer inspection. They are specifically trained to scope a line and access the information they receive from the inspection. If licensed to do so, they can quote you for a sewer line replacement, or they may refer you to a third party. Garvin’s Sewer Service has been serving the Greater Denver and Boulder resident’s home and business plumbing drain cleaning needs for over 75 years! In order to best meet the needs of our customers, we also offer sewer scope and plumbing repair service. https://www.garvinssewerservice.com/wp-content/uploads/2017/02/logo.jpg 0 0 Kris Jordan https://www.garvinssewerservice.com/wp-content/uploads/2017/02/logo.jpg Kris Jordan2018-04-15 20:41:492018-05-21 20:43:19What Is The Difference Between Plumbing Drain Cleaning and Plumbing Repair Service? Sewer cleaning in Denver may not be the most exciting topic, but it is interesting to learn about how it started and where it is now, because it can determine how you spend your hard-earned money. And money is an exciting topic, especially when we are saving it! Did you know Garvin’s was the first sewer cleaning company in Denver? It’s true! Russell P. Garvin franchised the first sewer and drain cleaning company in the area in 1940. Fifty years later, he separated from that franchise because he believed it better served his customers to not pass on high marketing costs associated with it, birthing Garvin’s Sewer Service. Russell has long passed, but his namesake company remains. Twenty years before the Denver Bronco’s came about and only fifty years after the Brown Palace was built, Garvin’s came to be. It was just after WWII, and the Great Depression was coming to an end. How Has Sewer Cleaning Changed? In 1940, Garvin’s used a truck mounted sewer cleaning machine that was a tightly wound cable with a bladed end that would be manually fed into a sewer line to spin inside the pipe, cutting away debris and pushing it through to the larger city main lines or irrigation ditches. Today, the same technology is used, but on much smaller units. This is a tried and true method that still works, so Garvin’s continues to rely on it. Additional technologies have been developed through the years that include water jetting, which is recommended for commercial use only. Smaller tools, such as an auger, are used for minor lines and clogs such as toilets, but are based on the same cable-type system. Video sewer inspections don’t clean lines, but they show the condition of lines and are ideal for discovering problem areas for potential cleaning or sewer line replacement. Professional drain and sewer cleaning technicians know when to use which tools for the job at hand. Denver’s Garvin’s Sewer Service uses the right equipment with the right methods to give you the sewer and drain cleaning services you need to get the job done right the first time. Effective, reliable, and time-honored, we look forward to serving you! Why don’t emergency plumbing service plumbers quote the price over the phone? 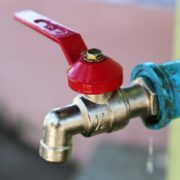 Some emergency plumbing contractors refuse to quote any prices over the phone. They usually will charge a nominal fee, or even offer it free, to come to your home and provide a quote. 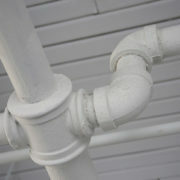 Pro: You will have a plumber onsite to go ahead and complete the work after they offer a quote. The plumbers that charge a fee are really just covering their costs to come out and provide a quote. Their quotes are likely more accurate than those who quote the job unseen. 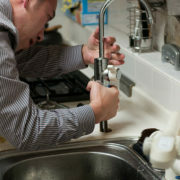 A quality plumber will offer a fair price and apply the fee towards the work to be done. Con: Their quote may be high, and you may not be sure if it is appropriate. Plumbing contractors can have a large range, based on some of the factors we list below. If you don’t go forward with the quote, you will be out the service call fee they charged to come out and quote you. Our suggestion: Check reviews online to see if they are reputable and how many people move forward with the quote after it is given. If you have a hard time saying no to someone’s face, this is probably not a good option for you. Emergency plumbing service includes work done on nights and weekends in most cases, and there is a legitimate reason why. But, before you pay the higher expense, you should know when it makes sense. Con: Sometimes all an emergency plumber can do is make a temporary fix until regular business hours. This is because if they don’t have the needed parts in their truck stock (with over 10k plumbing parts on the market, this is very possible), they will need to obtain them and supply houses aren’t open afterhours. In extreme emergencies, the supplier will “open their store” for a premium, which is passed onto you in higher prices. In the case of sewer line back-ups, as opposed to water line leaks, very little, if any, parts are required, which makes emergency plumbing service much more reasonable. Garvin’s offers two departments: Sewer and Drain, and Plumbing. The Sewer and Drain Department never charges emergency plumbing service charges because their work can be started and completed without access to a supply house. Our suggestion: Know what service you need and determine what you can do to mitigate the problems so you can get it truly resolved during business hours. If sewer or drain related, contact a company who can provide emergency drain cleaning without the extra charge. If you are ever in the need for emergency plumbing services in the Greater Denver or Boulder areas, Garvin’s Sewer Service is here to help with your sewer and drain problems 24/7/365 with no extra charges. Call anytime to get fast service at 303-571-5114.
https://www.garvinssewerservice.com/wp-content/uploads/2017/02/logo.jpg 0 0 Kris Jordan https://www.garvinssewerservice.com/wp-content/uploads/2017/02/logo.jpg Kris Jordan2017-06-27 14:16:302017-06-09 14:16:38Why don’t emergency plumbing service plumbers quote the price over the phone?